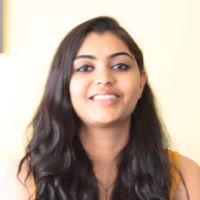 Warishree Pant did BA in Economics Honours from Delhi University and Masters in Economics from Doon University and after that did masters in English from Open University and post that, she started working as a language editor with Macmillan and since then she is working there. Language Editing is defined as making revisions to and suggestions about the content of a document, focusing on improving the accuracy of language, flow, and overall readability, as well as checking for grammar and spelling. In other words, editing involves a detailed review of a paper. "I did Economics Honours from Delhi University and Masters in Economics from Doon University, Dehradun. I also did masters in English from Open University and post that, I started working as a language editor with Macmillan and since 2015, I am working there."